There are many stories. Stories of farmers with chronic illnesses. Stories of middle aged ag-workers suffering from respiratory issues. Stories of farm families losing their lives to hydrogen sulfide toxins. According to Agrisafe Network Clinical Director Carolyn Sheridan, these stories are happening everywhere and far too often. The Agrisafe Network designed a pilot project to construct and test a new educational curriculum to train college students. Predictors of Best Practices in Farm Air Quality Sampling among Young Producers taught students how to use inexpensive and easy-to-use industrial hygiene air sampling equipment to test for high amounts of dangerous air toxins on farms. According to Sheridan, the problem lies with farmers working in confinement. “High levels of gases such as carbon dioxide, carbon monoxide, ammonia, and hydrogen sulfide can cause respiratory issues and at times can be life threatening to anyone working in farm confinement,” said Sheridan. The curriculum module was delivered to three agriculture universities including Iowa State Ag 450, South Central College in Mankato, and Iowa Lakes Community College. The students were given free test tubes and kits to do air sampling test on their own farms. The students were also given a survey regarding their interest in the gas monitoring tubes and their current health. The survey showed 100% of the students stated that gas monitoring tubes were important, and 60% stated they were interested in the tubes due to concerns for their own health. These high numbers come at no surprise due to the student’s reported symptoms when working in confinement buildings. Symptoms reported by these students ranged from shortness of breath, cough, sinus problems and sore throat during or after confinement exposures. Another striking finding from the research shows that most of the students did not have a good understanding of the health risks caused by high levels of confinement toxins. Specifically, only 13 out of 144 students were able to answer the survey question correctly about hydrogen sulfide- one of the deadliest gases. Sheridan points out that educating students on industrial hygiene equipment is essential for the future of their health in agricultural confinement. “If young people are exposed, there will always be problems,” says Sheridan. 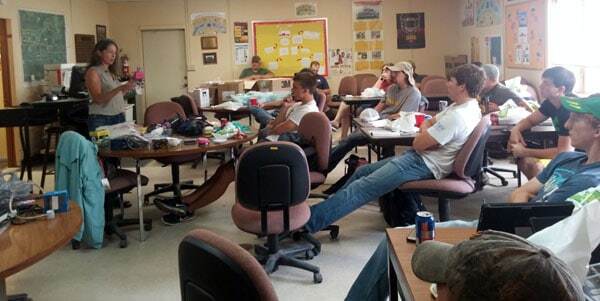 Fortunately, the module seemed to be eye-opening for the students. Many of the students took more than one set of test tubes to try on different farms or give to relatives. Although the research module is over, Agrisafe Network is not giving up on their initiative to educate students on industrial hygiene equipment. The Agrisafe network has changed the curriculum to incorporate more education on high levels of confinement toxins. On their website, Agrisafe has added resources for students to buy test tubes at a low cost and included more information about air sampling. “We are in the process of beefing up our information and collaborating with other organizations to promote their resources as well,” says Sheridan. Toxins are one of the many threats to the health and safety of farmers. Too many farmers have died or fallen ill to these invisible killers, and change is necessary. 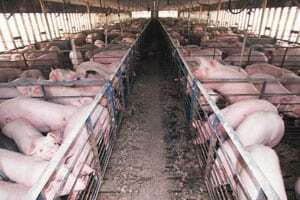 Educating young people and advocating for health and safety in confinement spaces is the first step in preventing some of the tragic stories on the farm.